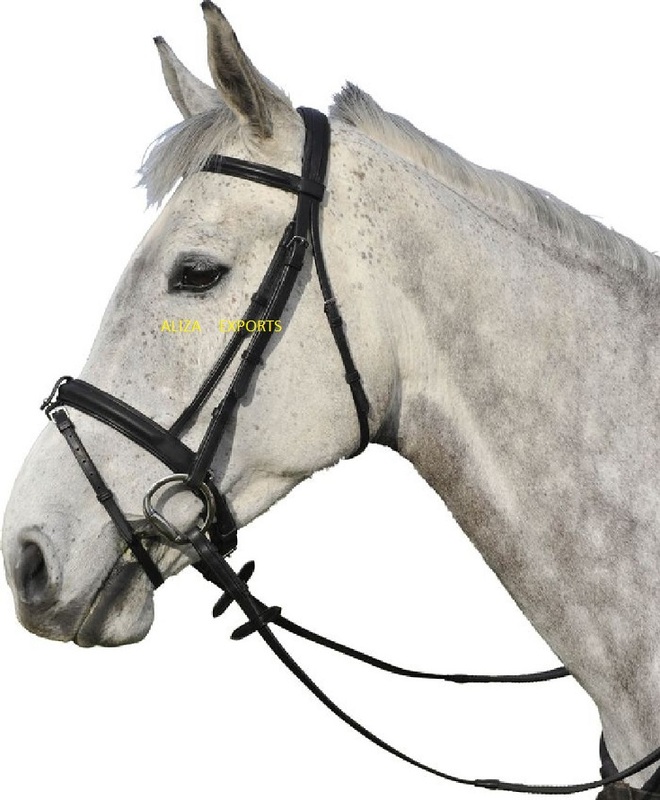 Comfort Bridle with reins. Browband and noseband raised and padded with flash noseband. Made from High quality Indian leather with english finish. Fitting all stainless steel. 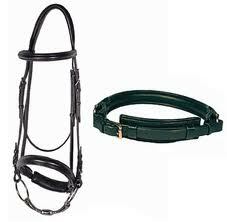 Weymouth bridle with twin reins. Nose and browband raised and padded. Bridle with Grackle Noseband. With matching or contrast stitching. With padded and raised browband. Also with or without padding on headpiece. With Stainless/Brass fitting. Figure Eight bridle. 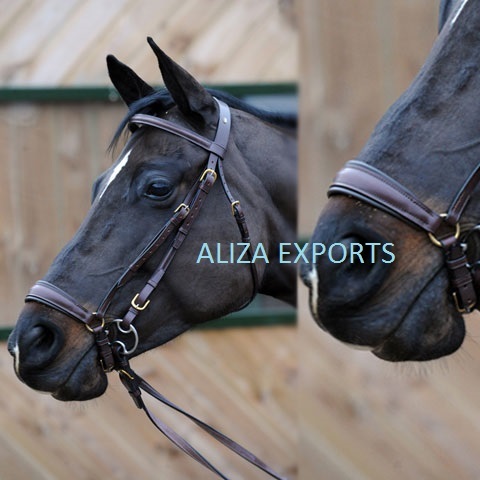 (with grackle noseband) Browband decorated with chain. With matching/contrast stitching. With or without padding on browband. In Stainless Steel/Brass fitting. 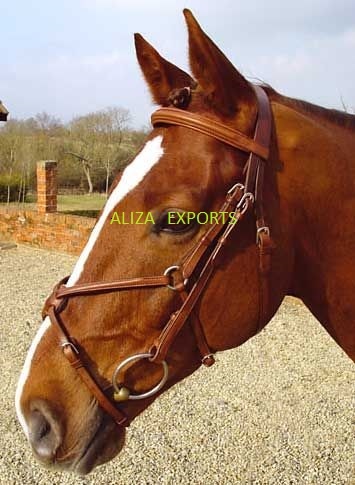 Bridle padded/raised on browband and noseband. Option of chain browband also. Matching or contrast padding. Bridle padded with bonfire noseband. Matching or contrast padding. Example photo of contrast padding. 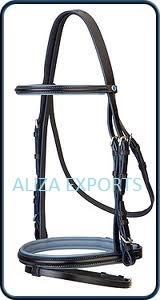 Bridle padded with contrast stitching. 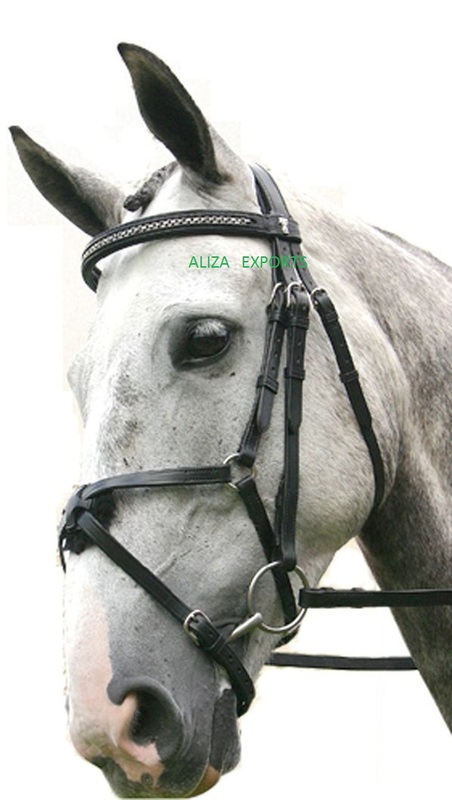 Bridle with crank noseband decorated with contrast stitching. 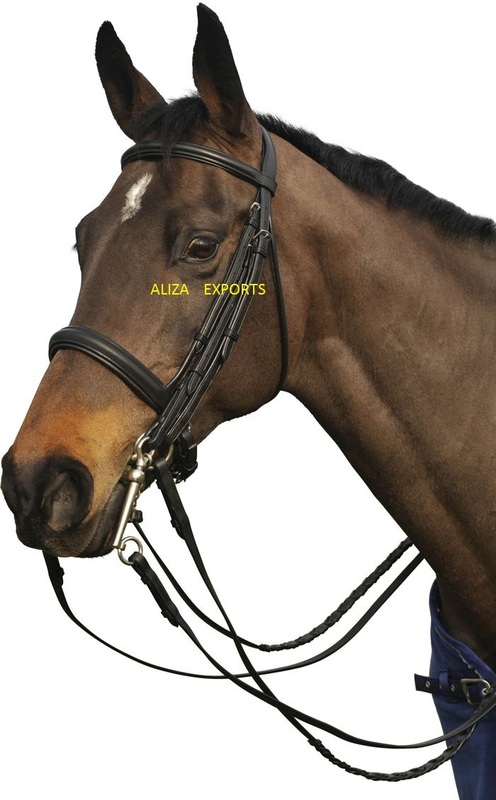 Bridle padded with different variety of decorative browbands. 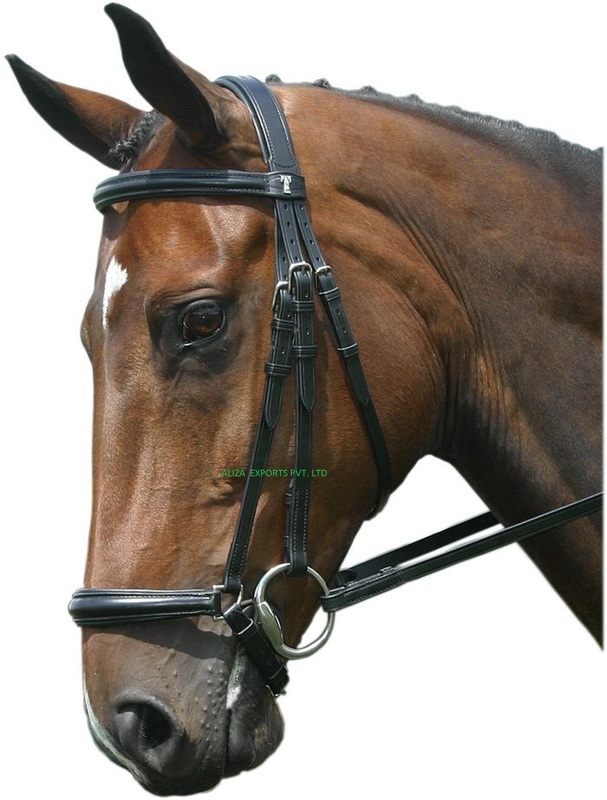 Bridle drop noseband with web, supergrip or plain reins. Bridle raised with grackle noseband. Stainless steel or solid brass fitting. Sheep skin padded on noseband. Bridle with grackle noseband. Fancy contrast white or yellow decorative stitching. 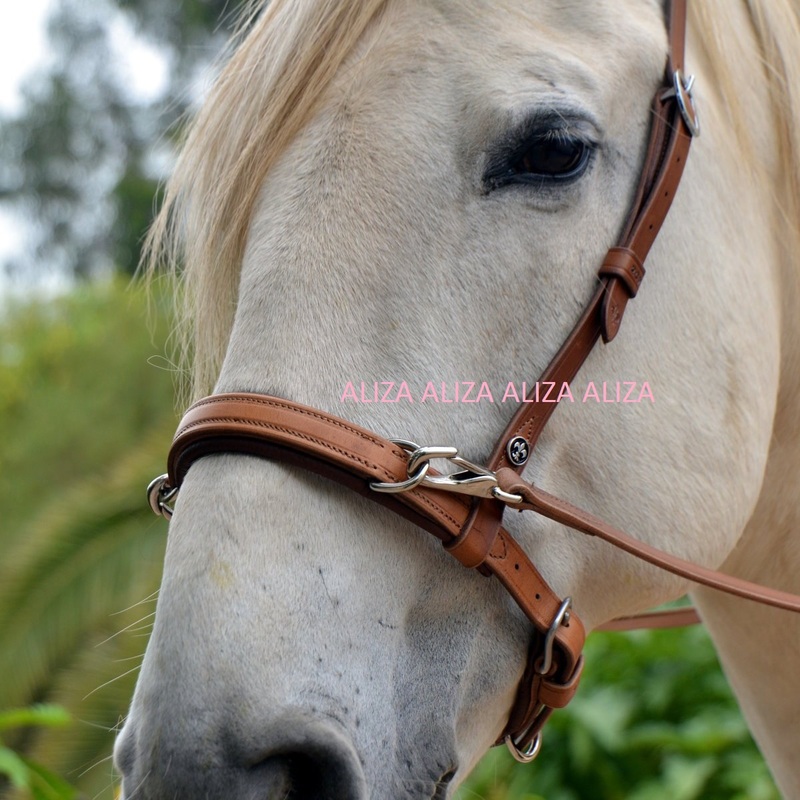 Raised snaffle bridle with leather plain reins and SS/Brass fitting. 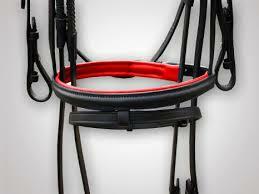 Option for supergrip reins. 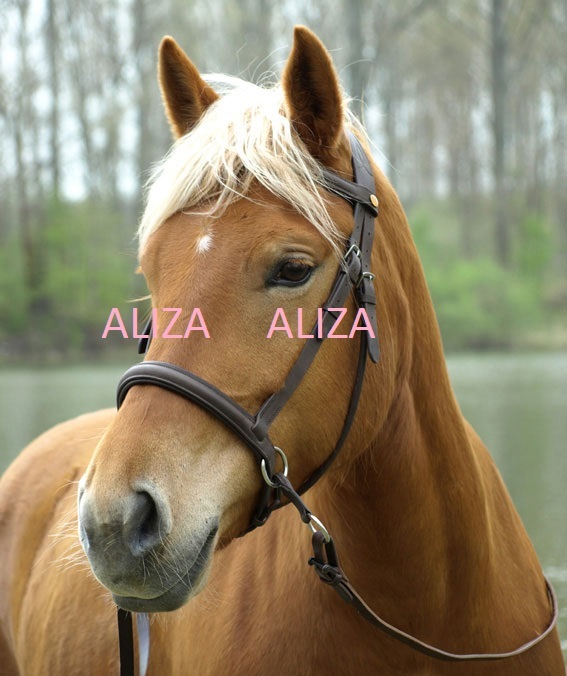 Leather Bitless Bridle. With raised and padded browband and noseband. Stainless steel normal fitting. 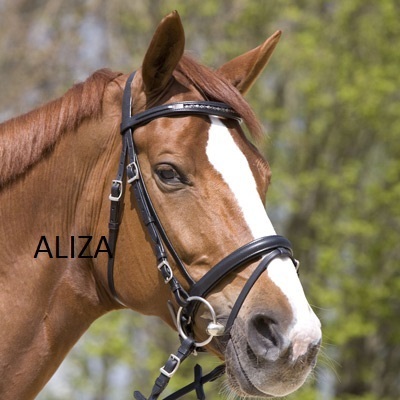 Leather Bitless Bridle. Controlled by front of nose band.